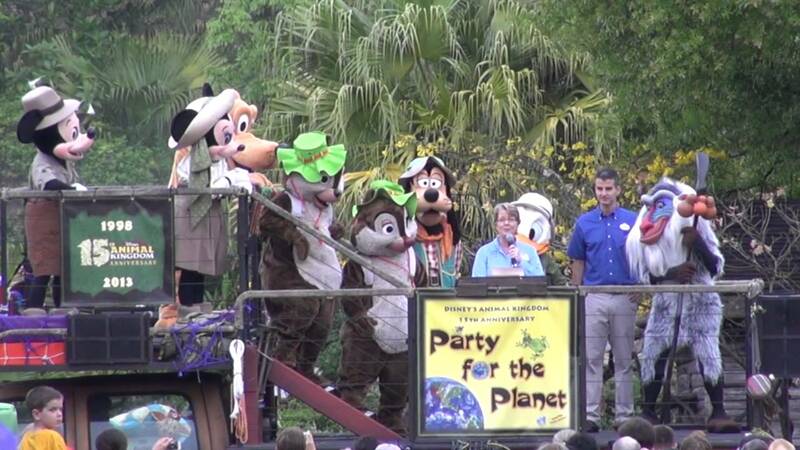 Apr 07, 2006 in "Disney's Animal Kingdom"
LAKE BUENA VISTA, Fla. (April 6, 2006) -- Five renowned conservation celebrities joined with Disney Thursday night to celebrate a $10 million milestone for the Disney Wildlife Conservation Fund (DWCF) -- a program that has benefited nearly 500 wildlife projects around the world. Actor/comedian John Cleese; elephant expert Iain Douglas-Hamilton; primatologist Jane Goodall; actress Isabella Rossellini; and Nobel Peace Prize winner Wangari Maathai accepted awards of $100,000 each for their conservation causes in a ceremony at Disney’s Animal Kingdom at Walt Disney World Resort. Cleese, who founded an organization called Conservation Matters, plans to support the Jersey Wildlife Trust (UK) and Santa Barbara Zoo species survival programs. Douglas-Hamilton, through his Save the Elephants group, will use the funds to continue studies of elephants in Kenya that have spanned more than 30 years. Goodall will direct Disney’s gift through her institute to support a variety of efforts, including the Roots ‘N Shoots program, a global effort to engage children in caring about animals, with chapters in more than 90 countries. Rossellini will share the funds with the Andean Cat Alliance/Wildlife Conservation Network and The Howard Gilman Foundation, where she serves as trustee and plays an active role in supporting developing entrepreneurs internationally. Maathai, the first African recipient of the Nobel Peace Prize, created the “Greenbelt Movement” which mobilized thousands of women in Africa to plant trees. She expects to expand her efforts to focus on cultural diversity, greening the Earth, and good governance.